School’s almost out here, only 3 days to go, and we can’t wait for summer vacation! 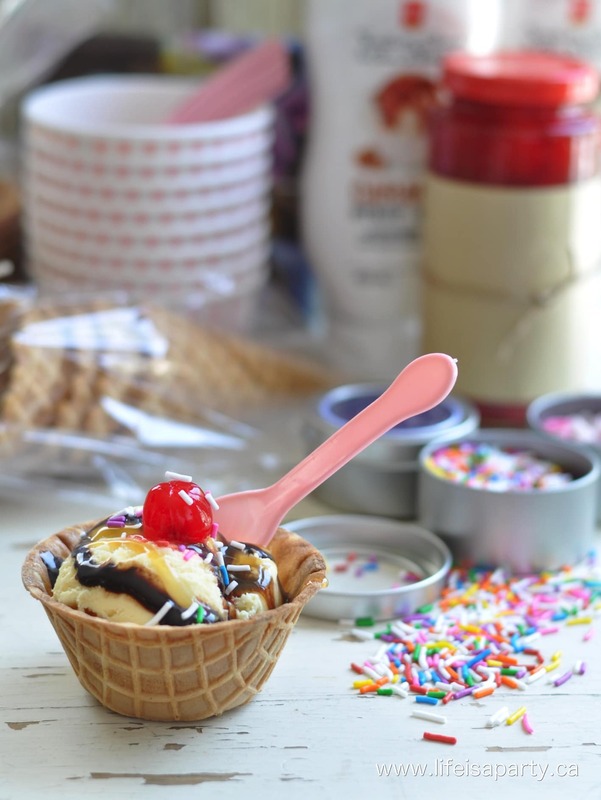 The weather is already hot, and hot summer days always make us think of ice cream! 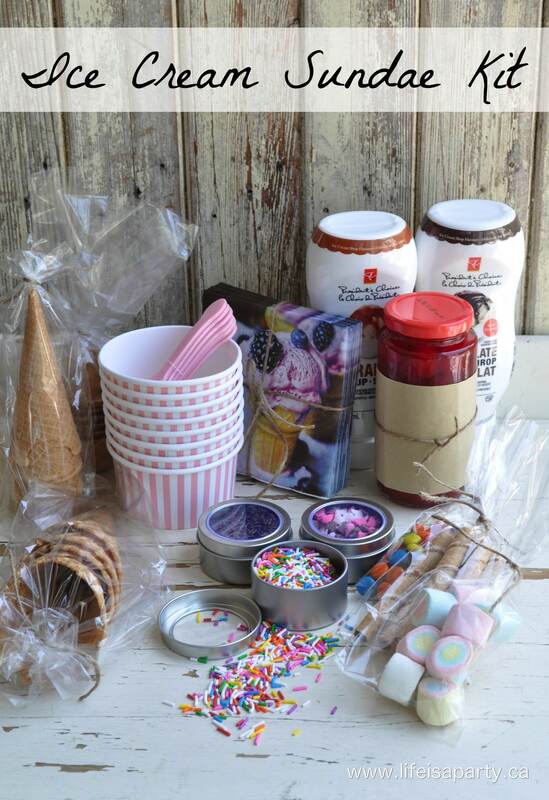 I thought this little Ice Cream Sundae Kit would be a great little thank you gift for my girl’s teachers this year. The Ice Cream Sundae Kit if filled with everything you’ll need to make the perfect ice cream sundae -just add ice cream! 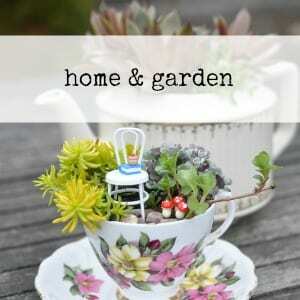 It’s simple to put together, and I hope they’ll enjoy it over the summer. 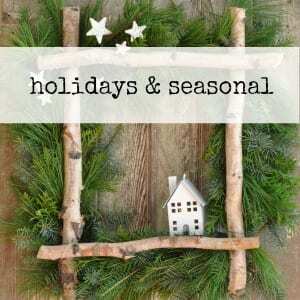 I think it would also be a great hostess gift. 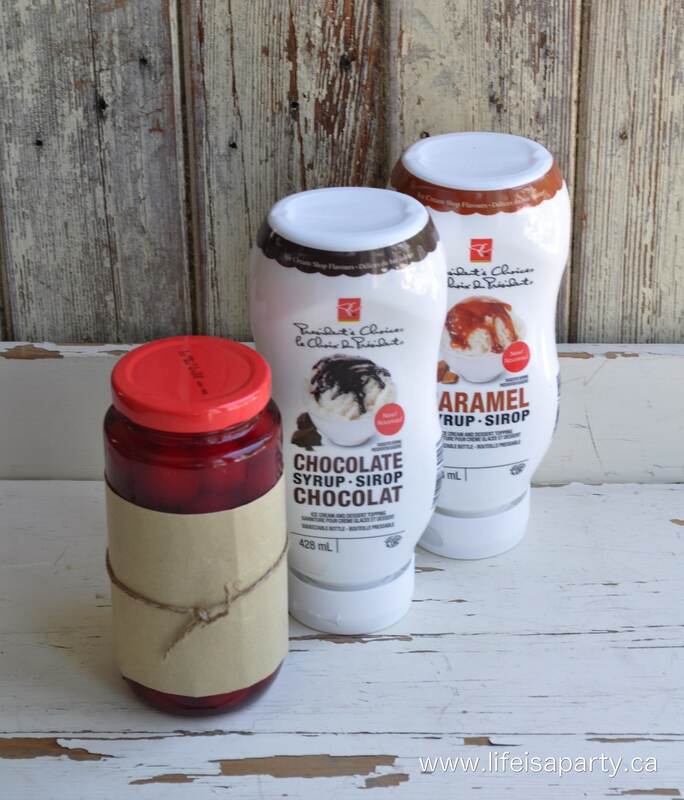 So, if you’re headed to a bbq, or to someone’s cottage for the weekend this summer you’ll want to remember this perfect little gift idea. The key to this oh so pretty combination is the packaging. 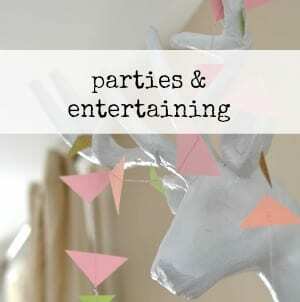 I took things out of bulky and colourful packages and boxes, and re-wrapped everything in cello bags tied with a little twine. It really makes the kit look customized and put together. 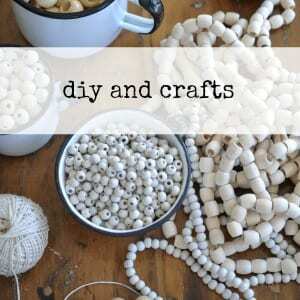 Pick up cello bags in different sizes at the dollar store or craft store to make your own kit. Also, it allows you to break up big packages, and offer a little bit of everything. 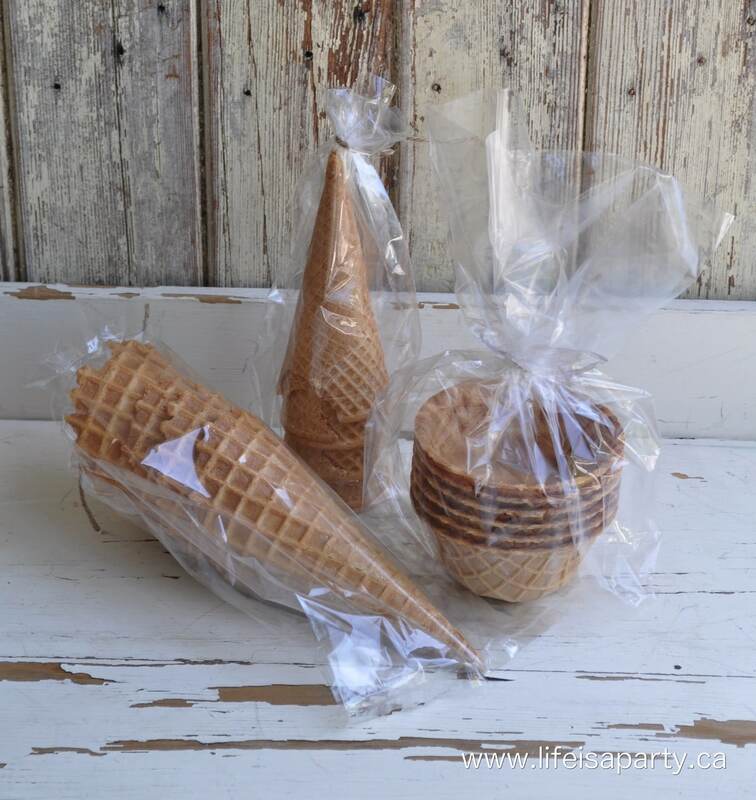 I used some waffle cones, sugar cones, and waffle bowls -all picked up at the grocery store. 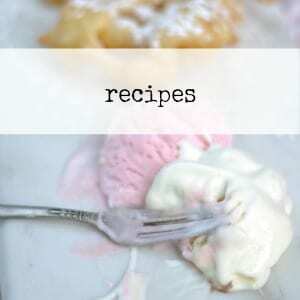 I included some of my favourite ice cream sauces, and don’t forget the cherry on top! I found these sweet little bowls and spoons at the dollar store, and the napkins too. Don’t they look cute tied with a little twine? I wanted to include a few candies and sprinkles. 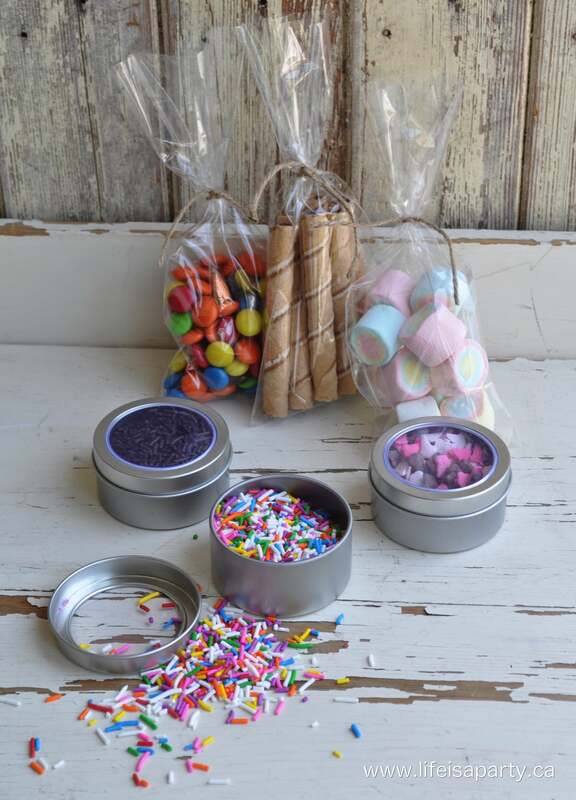 Love the colourful marshmallows from the Asian grocery store, and some of our favourite sprinkles. 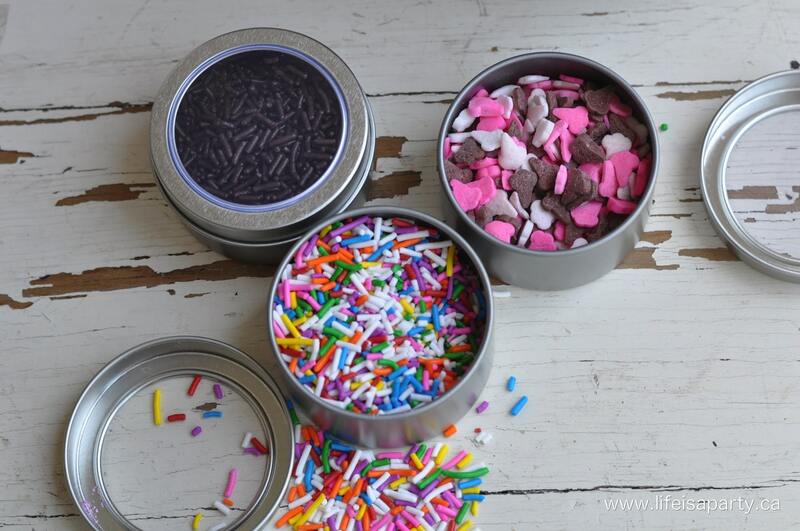 I picked up the sprinkles at the bulk store, I thought the ice cream cone sprinkles were the cutest! And the containers I also found at the dollar store -should have picked up more for me, I love them. 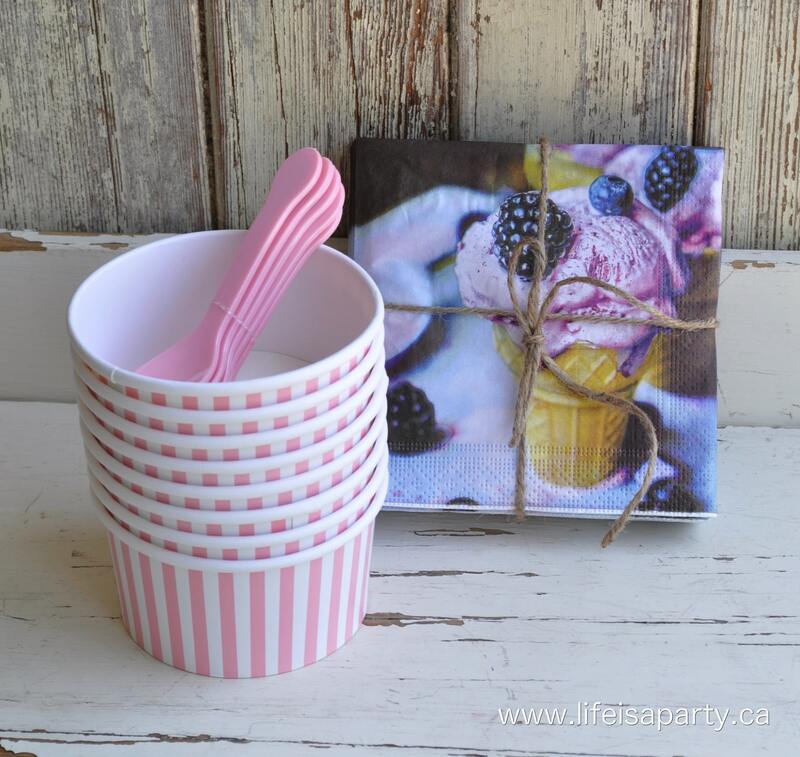 With an Ice Cream Sundae Kit for summer gift giving, life really is a party!